Seymour White is an engineering and civil construction company operating across Queensland, New South Wales and Victoria with more than 300 employees . With 30 years of award-winning success and ambitious plans for growth, this is an organisation that is going places. Recently, they partnered with The Uniform Edit to create a uniform that reflects their dynamic company culture. The Uniform Edit embraced this project, producing a range of uniform shirts which speak to the employee focused, driven and ever adaptable nature of Seymour Whyte. Seymour Whyte wanted a uniform that gave office-based employees freedom and yet united them aesthetically. 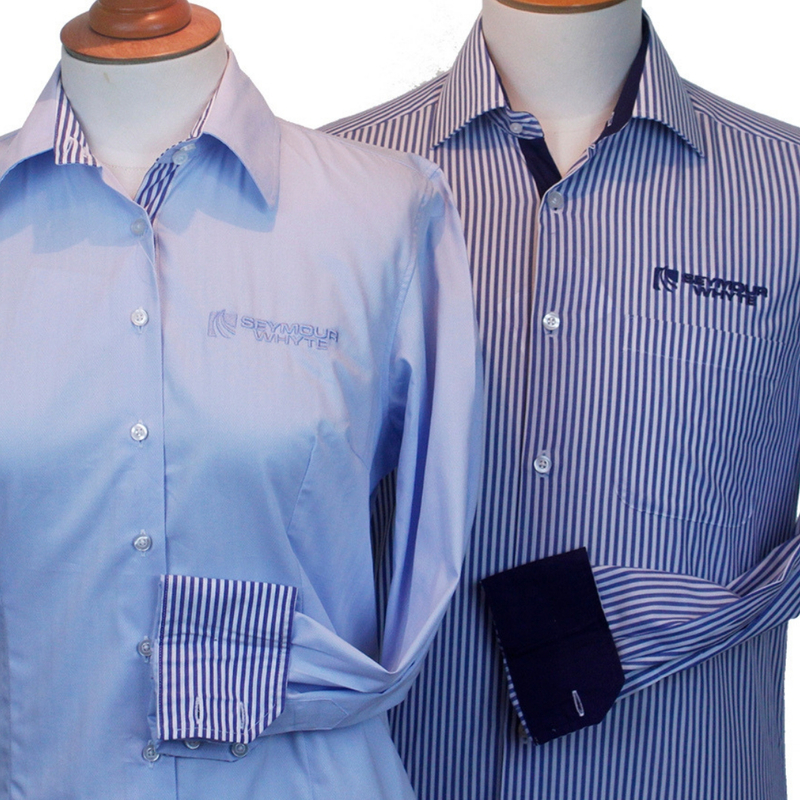 This brief resulted in a dynamic uniform shirt range which perfectly meets the needs of Seymour Whyte. In this endeavour, The Uniform Edit is leading the way of a uniform revolution. 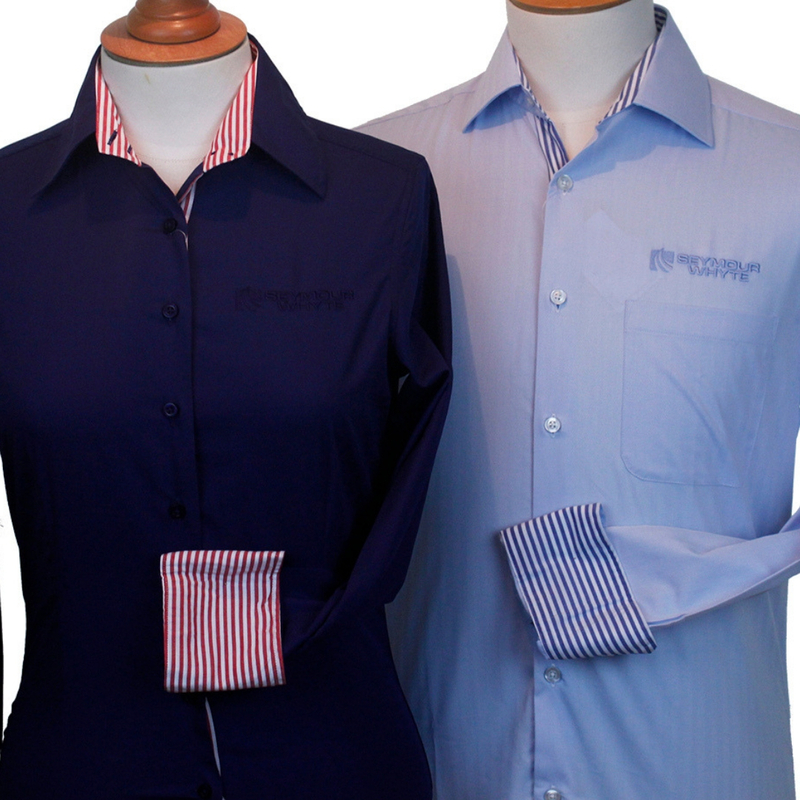 No longer is the shirt a boring basic – but it can be an exciting, contemporary and flexible way to centre a uniform. The organisation wanted a simple, easy to wear uniform. In conversation with The Uniform Edit, they decided on a uniform shirt, allowing employees to choose the rest of their work wardrobe. 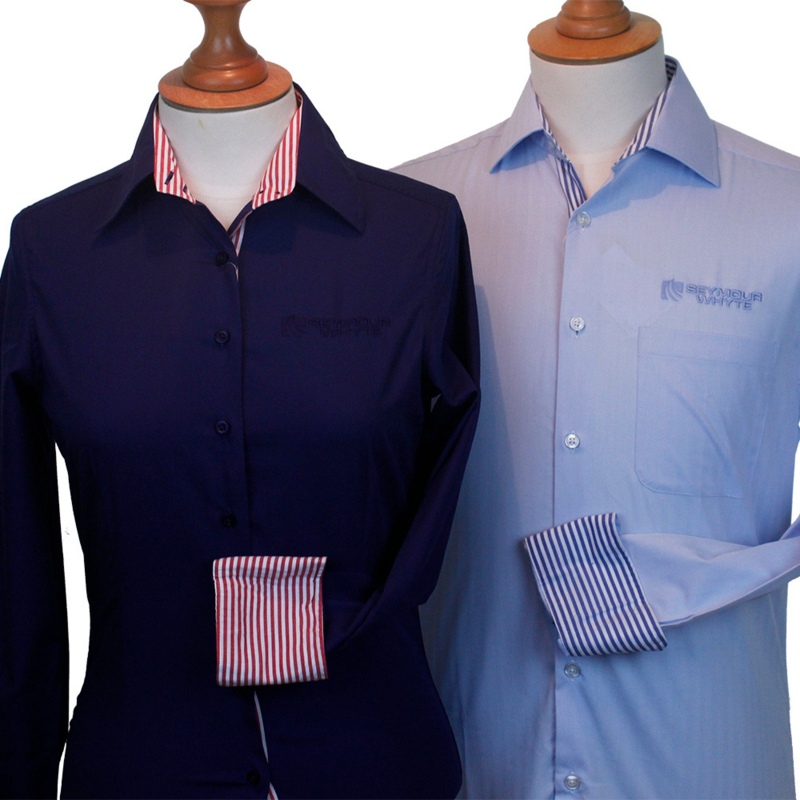 The range of shirts includes five shirt options, which mix and match well but remain distinctive. 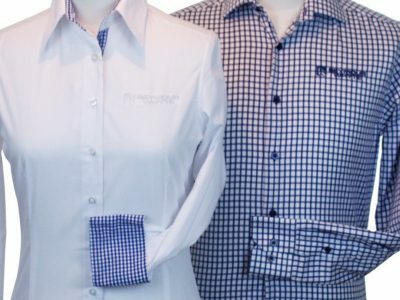 All shirts are available for men and women, meaning a well-coordinated and unified team across three states. 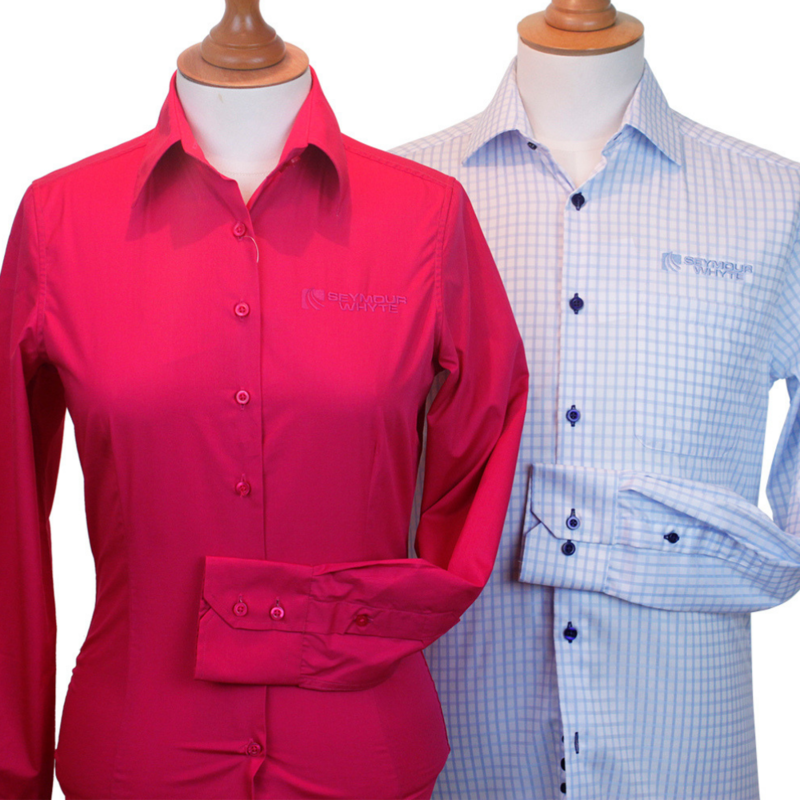 All shirts were designed to be exceptionally comfortable. 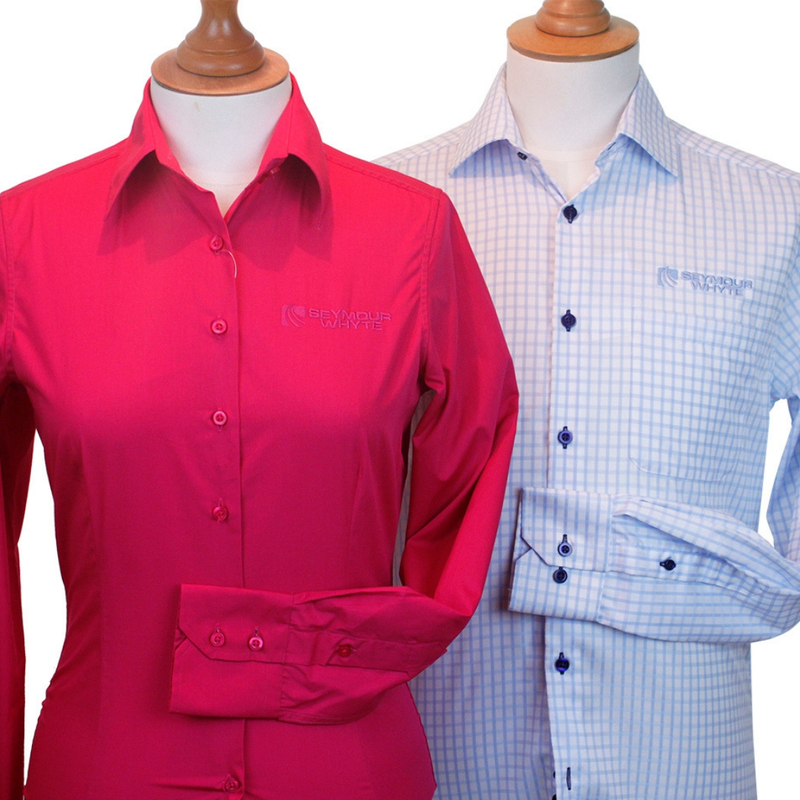 They are made from 100% cotton and are therefore breathable. 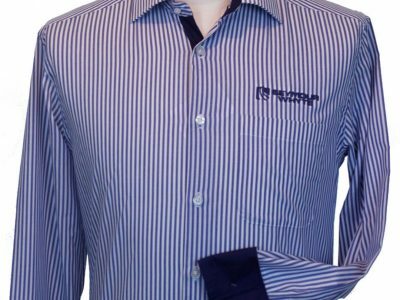 The smart style of the shirts means they transition well from the construction site to the office. 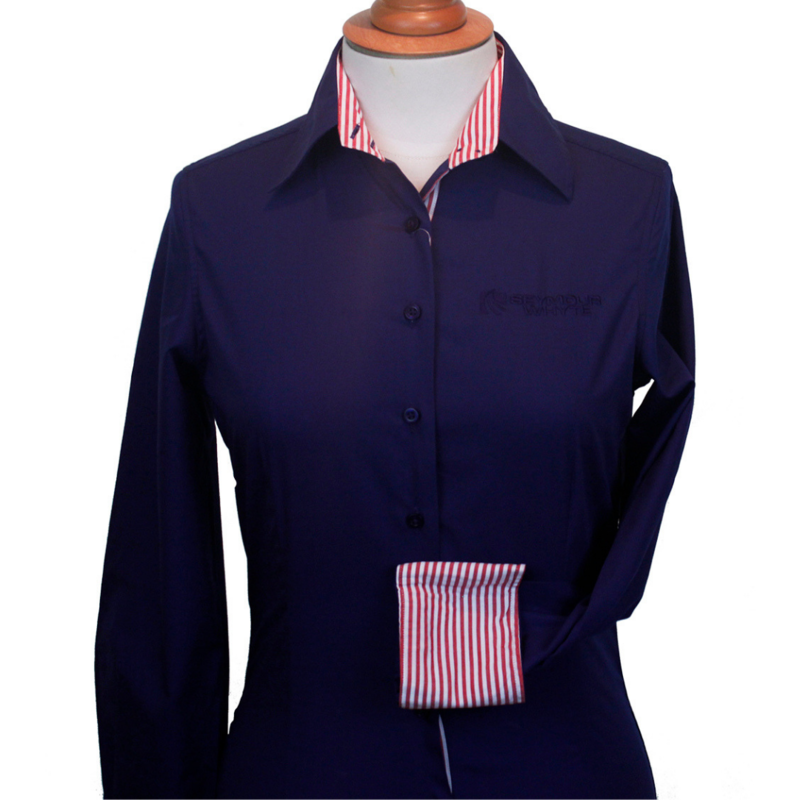 Seymour White is a recognisable brand, with consistent branded colours of blue, red and white. The Uniform Edit used this as the basis of the new shirt range. 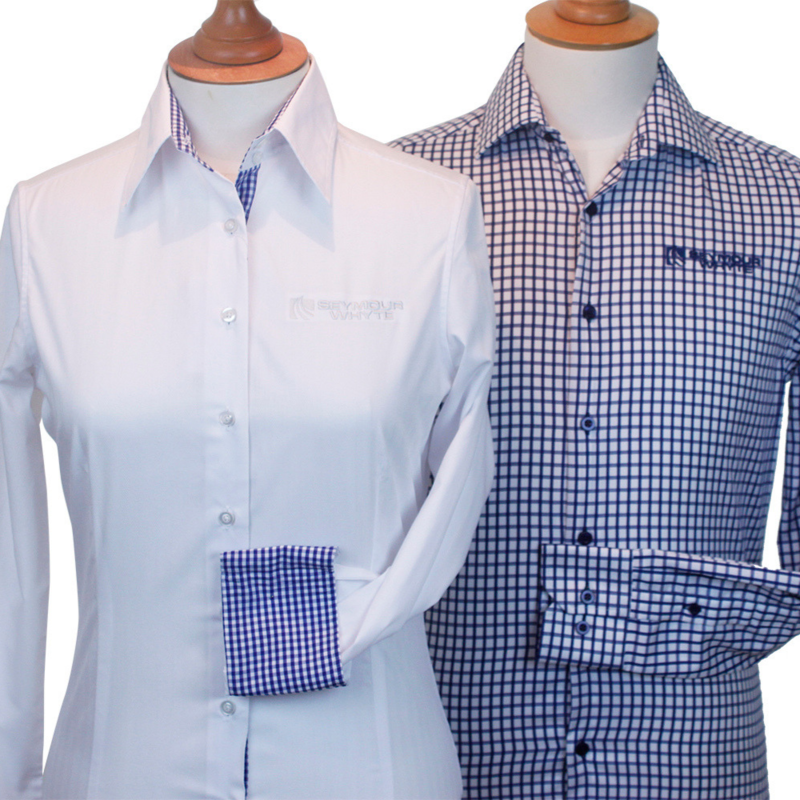 The first of the shirt series is a blue and white mid-sized check, a classic looking shirt which looks great on men and women. 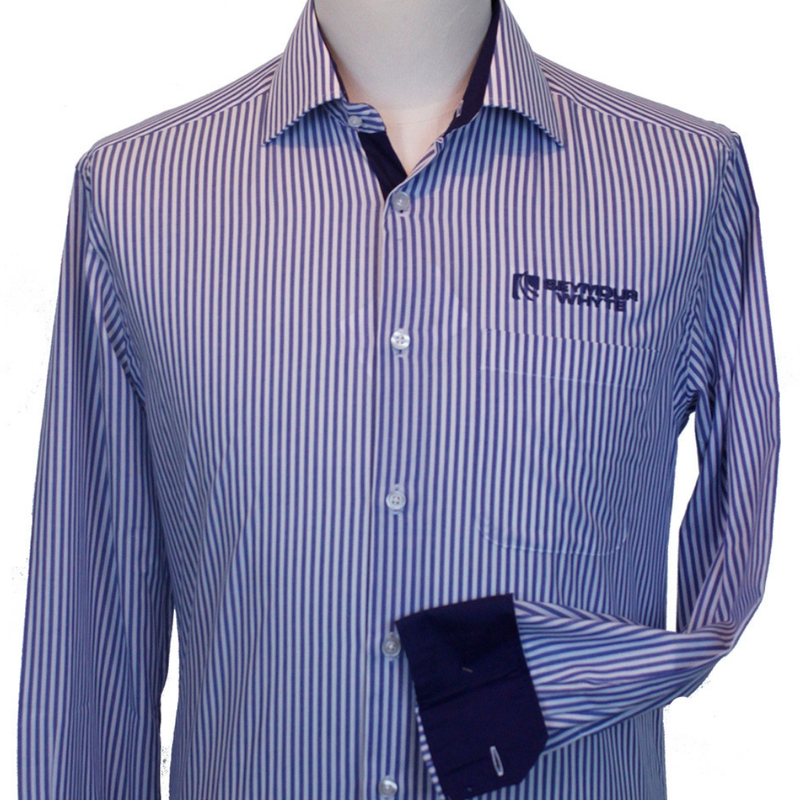 The second option is a white shirt with contrast trim and cuffs, in small blue and white checks. 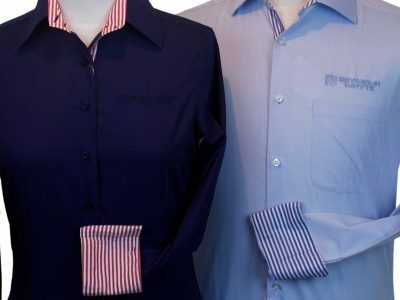 Then, there is a pale blue shirt with contrast trim and cuffs in a white and blue stripe as well as the reverse of this – a striped shirt with contrast trim and cuffs in plain blue. 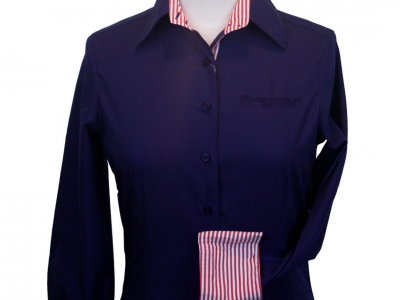 Finally, there is a striking navy blue shirt with contrast details in a red and white stripe. All of the shirts have a subtlety embroidered logo on the chest, unifying the overall look. 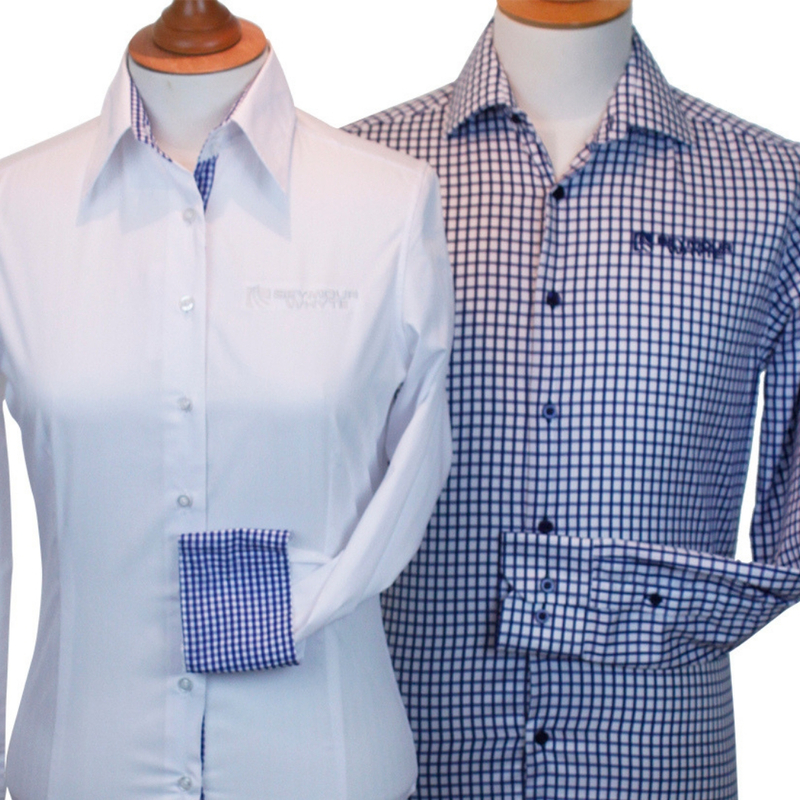 These shirts are the perfect combination of bold and classic. The bright colours and diversity in the line brings a contemporary twist on a traditional piece of work-wear. The overall affect is both coordination and individual expression. 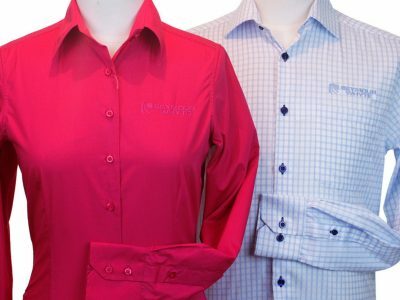 Staff members are given the freedom to choose a shirt which best suits them and yet the entire workforce represents the brand well. These shirts are a pivotal piece of branding in Seymour White’s already impressive reputation. They allow employees to be easily identified and are an excellent representation of the decisive, trustworthy and creative services offered by this well-respected company. As a company founded on innovation, partnering with fellow innovative companies such as Seymour White is always a pleasure. This uniform is an exciting step-forward in uniform trends – allowing a basic shirt to become the centerpiece of a dynamic, flexible uniform.